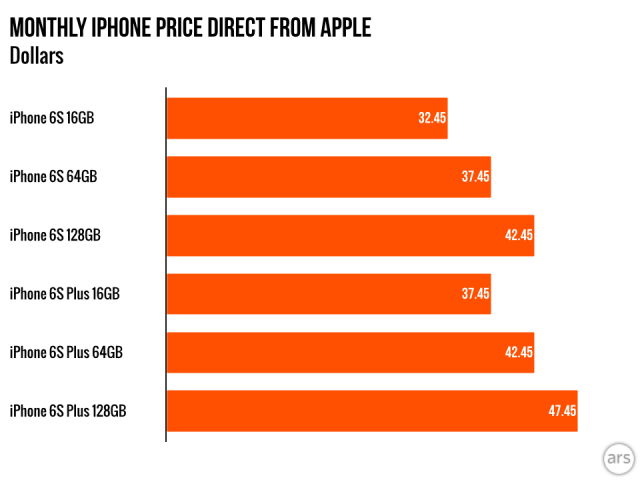 The iPhone upgrade plan — deal or no deal? I wouldn’t go so far as to call this deal diabolical, but it is probably only a helpful option for those who don’t qualify. First of all, Apple is actually offering a monthly installment plan, just like we enable at PayJoy, and just like carriers are offering all over the US. Installment plans have replaced the carrier subsidy regime, spelling an end to two year contracts for most customers and ushering in an age of people paying for devices over time. Apple is the first large OEM to offer these directly, and differentiates it from Sprint, which is offering a lease option for iPhones for $15 per month. Let’s assume you clear the credit check and sign onto the cheapest possible 24 month installment plan of $32.41 per month for the iPhone 6S. After 12 months you will have paid $389 (note the price for an unlocked iPhone 6 right now is $600). At that stage, you will have the option to return the phone to Apple for free and get a new device. Apple is likely to turn around and sell this device (in Asia old iPhones are more desirable than the latest Android phones) and you will not see any of that revenue. You will then pay another $389 for the next year of the next device. 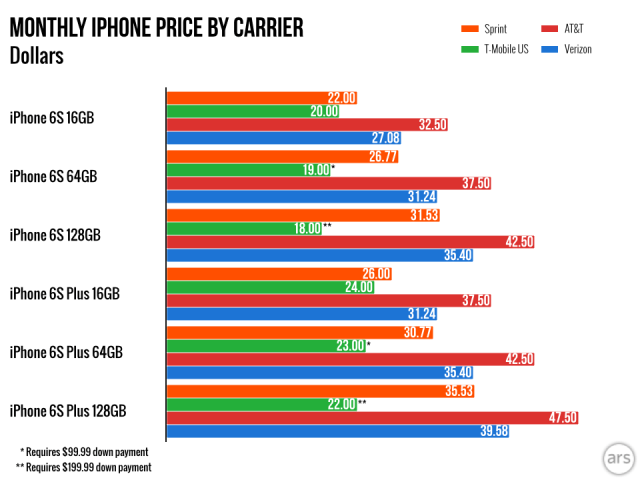 Ars Technica put together some excellent charts showing the different options. In short, if you qualify for the Apple payment plan, it probably isn’t for you. So what’s Apple up to? Apple obviously is drawn to having more subscription revenue from its user base, adding onto Apple Music, HBO Now, and a number of other monthly services. But it seems this may also be more about gaining leverage over carriers, initial adversaries and then willing partners in the iPhone’s stunning growth. Through a direct commercial relationship with customers, and the ability to set prices independent of carriers, Apple can continually push carriers to comply with new pricing plans, require bundling of insurance, subscriptions, etc. This is a big win, but Apple is ignoring a big opportunity. Apple, just like the other carriers, is still ignoring the 40% of American adults that don’t have a credit card. Many of these people would actually be sound customers but the mainstream economy does not yet know how to serve them. At PayJoy, we are forging a new path to the consumers that Apple and others are ignoring. These customers want the same, high-end smartphone technology but lack the access to credit that many of us take for granted. With PayJoy, these customers can use the same device they are purchasing to securitize a loan for it. This allows them to access the phones they want at a reasonable price, building a credit history in the process. So, while the new offer from Apple is a good way to pad the bottom line and capture more wallet share from existing consumers, it does nothing to reach out to the new consumer base that PayJoy is serving.